What are you taking away with you after this class? The digital government course helped me a lot on how digital government is done and how to deal with issues that may arise for its effective implementation. It was important to note that a significant number of current public service employees lack digital literacy. Therefore, it is important for the government to advocate for digital literacy to enable its employees to serve their clients better. I also learn about digital inclusion which advocates for inclusion of all communities in the digital services. For example, if it is a questionnaire it should include all different sexual identification. This can also be done by providing a user-friendly digital service that caters for customers’ needs, avoiding a lot of jargon and making it shot and precise. Ethical considerations are also important in designing digital services for example being mindful of not offending its users. This will be part of moving towards digital justice. However, as Canadians we still have a long way to go in achieving digital justice through digital decolonization. This is because a lot of Indigenous people in remote place do not have access to the internet which will enable them to access the digital services. Considering using First Nations’ languages in providing digital services to these communities will be a move towards digital decolonization. How will that change the way you approach your upcoming co-op work? This is going to change how I am going to deal with customers at Peel region. I am also going to advocate for a provision of digital services for municipality clients. I will be dealing with society’s most vulnerable communities, the public housing recipients. It is important that Peel region digitizes public housing services. For example, clients should be able to submit a request for maintenance of the property online and be able to get feedback on the request in a timely manner. This will alleviate problems of lack of maintenance in the public housing. It is important that the interface is centred around customer’s needs. What is the most important question you have after this class? How do we convince our managers to implement a customer oriented digital services? This week’s module reflects on the effective public participation and engagement in service delivery. I was able to gain awareness of what machine mediated service delivery mean to public service. It is important to note how digitization of public service has provided citizens unprecedented access to government services. We drew upon how digital tools have facilitated diversified conversation between the government and it serves. This changes the way government communicates or receives feedback in a way that keeps the public engaged. public participation provides sustainable decision. this is because decisions wil be coming from those might be affected by the decision. To put this I to practice, we were given different ministries and assigned to find effective ways of communicating to our respective audiences. Our group looked at the ministry of pizza whereby we were asked to convince stakeholders from banning pineapples from pizza. We suggested town hall meetings to address our customers on this issue, this will be followed by face to face surveys at our pizza store. online surveys for those who purchase pizza online and provide feedback to our stakeholders. These consultations are important to help us hear our customers’ needs. This is also important for the government of Canada to adopt service delivery that mirrors its users’ voices through engaging the users. This will help me as a public servant to initiate service delivery that reflects public’s needs. However, it is important to take heed of obstacles that might affect the good ehgagement between the public and the government, for instance, fake news from the social media nowadays can affect good communication. Module 3 and 4 were very interesting because they were hands on approach. As a team we were supposed to create a policy and program that is linked to system design. As a group of four we were tasked to create a design system for university students that will enable them have timely access to the faculty members to improve their grades. We narrowed down our system design to be for third and forth year students at University of Waterloo. Our justification was that 3rd and 4th year students need more access to faculty members because they are more likely to write a thesis paper. We reached this decision after consulting former Waterloo undergraduate students and we gathered that accessing faculty in a timely manner was an issue to scheduling issues. Faculty members were usually available through their office hours such that if one is far away from the university he or she is more unlikely to find time to meet with a professor. We discussed how accessing faculty members depends on the size of the university. One of our team members cited how for her meeting with faculty members was not an issue since her university was so small that professors are most likely to know everybody by name. for me as a former student of York University we had a communication site called Moodle whereby students would chat on their own about the subject issues. The course director is also able to address question through this site and everyone could access the course director’s responses. However, if you happen to have personal issues you need to discuss with the professor you would have to conduct him or her during office hours. As a result, we suggest we create an App that would enable 3rd and 4th year students to see availability of different faculty members who are free to help with issues that might arise. Time availability will be updated by department administration, for example, the political science department would be responsible for updating the app with professors of that department’s availability. Student will book to meet with any professor who is available to help, and they will use their waterloo cards to access the lounge designed for this. After these modules i realise how complicated design thinkiing and system design can be in creating a policy in a digital era. This is because a lot of issues need to be taken into consideration when designing this. this includes but not limited to human centred, inclusiveness and democratic. we will begin by making a prototype for the department of social sciences using iterations for us to come up with the best product suitable for our users. this is important as a future public servant its is important to use iteration when making a prototype of a product so that you check usability at each stage. "Totangira poyi?" meaning Where should we start from? he would sing in one of his songs. 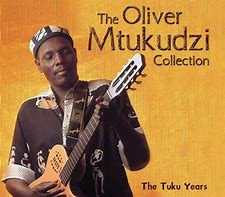 Zimbabwe has lost a music legend Oliver Mutukudzi, business man, philathronpist, human rights activists and a goodwill ambassor to UNICEF. his unwavering support for human rights will ever be missed, not forgetting his inspring and unique music. He was 66 years young. 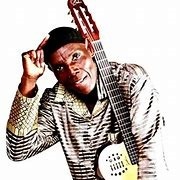 Tuku"s music has managed to inspire and appeal to many generations. I grew up listening to his music being played by my parents. One thing for sure with his music is that it never grow old, I can still enjoy and dance to his 1970s music. Each and his music contains rich Shona tradition lessons, idioms, proverbs and Shona sayings from it. I am inspired by a lot of his song but the one the resonate with me most as some one who is far away from home is Tumirai shoko. It is about how one misses home whilst in a foreign country. It is a personal blow to many Zim-Canadians as we would always anticipate to see Tuku at his unforgettable shows in Toronto. I remember one of his fans i know conducting his manager in 2018 asking whether Tuku is going to come and perform in Toronto and was told he is coming to Canada in 2019. We were all expecting him this year, not to mention my own daughter who couldnt attend his show the last time he came to Canada she was 18. Its the darkest our for all Zimbabweans. My heart goes out to his wife and family, may the chief comforter console them. RIP Samanyanga! After module 2 I now understand how important user research is in digitization. The idea that User research is a study of who the users of a service are, how they behave and what their motivations for using the service are (Barber) I now know that user research is important for an organization to consistently deliver exceptional customer service. Usability testing is also important to check how effective is the service of app. It was interesting to find out how the University of Waterloo closures alert system is not user friendly for most of the University Waterloo services users. This is because it fails to satisfy the needs of a lot of users in terms of road or building closures notification in a way that affects their punctuality. For instance, the road closure due to street car testing leads to a lot of workers and students late. Module two is important when I am doing my coop because as a public policy servant, I have understood why usability testing is important in evaluating whether the service is going to provide the intended benefits to its users. Listening without bias is also important for the leader to make informed decisions. This is because when we listen, we get the right information rather than speculation. Finally, out of Lucia Hsieh’s 12 lesson about guerilla testing, the points that resonate with me are: Location of target audience is a factor for willingness to participate. That is if trying to do a guerilla testing at the mall people are less likely to agree to participate because they fear you might be trying to sell something to them. In addition, it is important to be confident when approaching potential users for credibility purposes. The third point that resonated with me is to be prepared for rejection so that it will not affect my confidence. All these are useful to me as a public servant in making sure the government delivers exceptional customer service. When we focus on the needs of user will also make our job easier as public servants. I'm in aspiring public service worker with a strong desire for social justice.